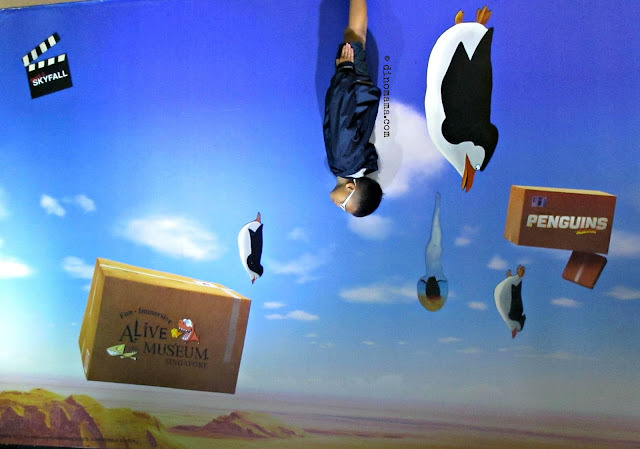 Alive Museum has been in Singapore for a year plus, we have visited it last year and this August we decided to visit it again because we had so much fun the last time. Every space in the museum is put into full use to accommodate the 84 pieces of fine artworks, you can find them in even the narrowest or small corner at the wall. 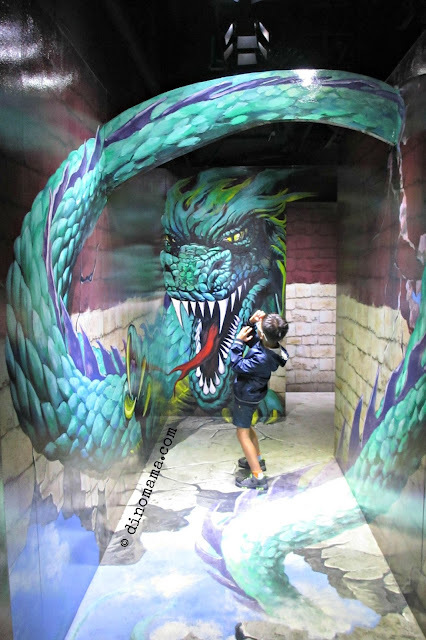 The place is full of vibrant colors with beautiful and life like masterpieces which perhaps will scare the younger kids; like this Dragon below, with its long sharp teeth and fierce look, it will sure send some of them running away screaming. The amazing thing about Alive Museum is that the same masterpiece will have different effect on each person, just take a look at me and DinoBoy. The naughty Elephant just "molested" me while it looks like he's blowing air into DinoBoy's ear. 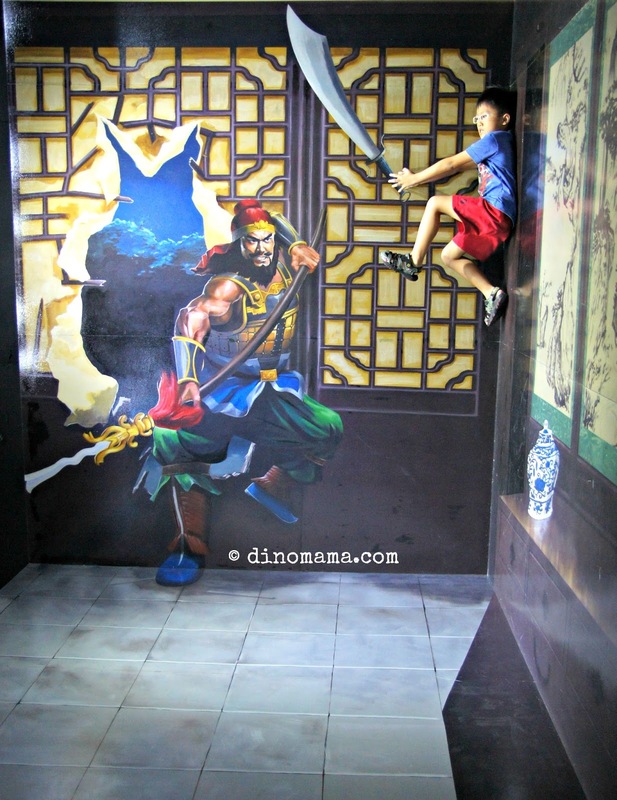 I bet this masterpiece is very popular especially with the kids because they can sit on the swing and swing till their hearts content or till the parent ask them to come down. 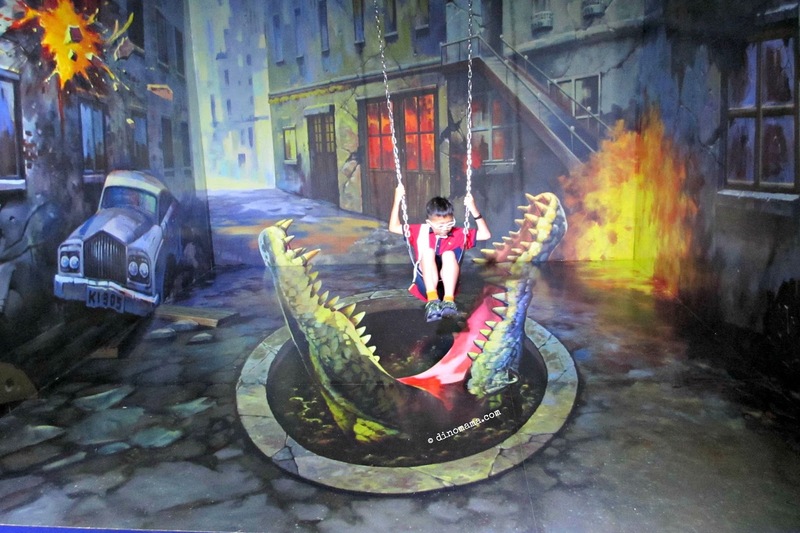 It looked so real that you can that adrenaline rush when you sit on the swing above the ferocious man eating monster crocodile. * Purchase your tickets online, you may be able to enjoy some discount like now! 20% off basic tickets! * Go with a group of friends or your whole village aka Family. 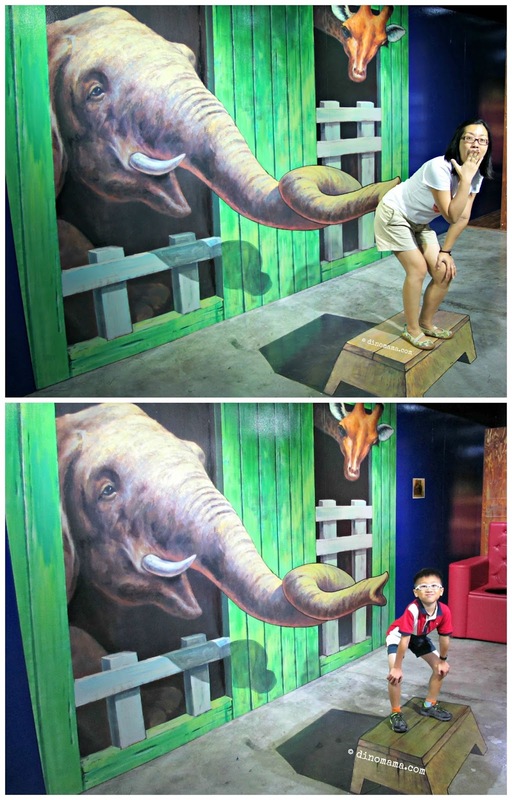 The more the merrier and will guarantee much more fun and tummy pain laughter when every one try to pose with the masterpiece. A great family bonding time! * Look for the sticker on the floor which indicate the best spot to stand to take photo. * Look around before you stand around, see if you are photo-bombing some other's photos. * Get hydrated by bringing water along, running around + laughing non stop + air conditioned place = 1 thirsty You! Well, how about Skipper, Kowalski, Rico and Private? 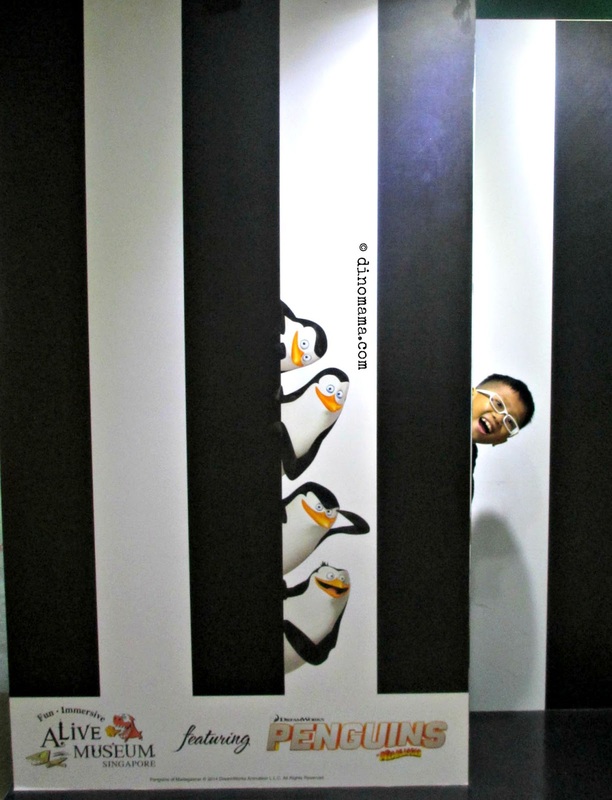 Who can resist these intelligent, hilarious, quirky spy penguins from Madagascar? It's Teacher's Day this Friday 04September 2015 and Alive Museum wish to say Thank You to all teachers. Simply present your staff pass from the Ministry of Education, or if you are from a private school, a letterhead with your NRIC and name at the ticket counter. All terms & conditions apply. More details here. - Winners will be notified in their facebook shared post so remember to share you post as "Public". Disclaimer : We were invited by Alive Museum for the purpose of this post & giveaway, no other forms of compensation were received. All opinions are 100% ours and based on our experience at the museum. All photos in this post unless otherwise credited, are copyrighted and belongs to the DinoFamily, you may not use any of the photos for any purposes without seeking our approval. Hope to win the tickets! Not sure what your question is asking about actually. 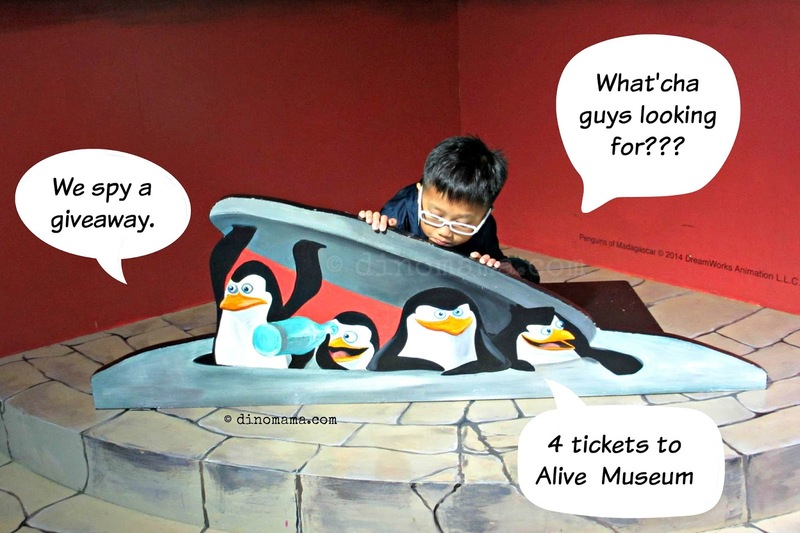 Haha....Do you mean name three zones inside the Alive Museum? If so, my answer is Penguins of Magadascar, Young@Heart zone, and Singapore Heroes zone. Looks like you all had so much fun! I have not been there yet so I unable to answer this question. Give me a chance to win and exprience it! Yeah! scary, interesting and fun and each master piece has different effect on each person. We can experience 3D art, digital art and Object art. touch it, feel it and be part of it. 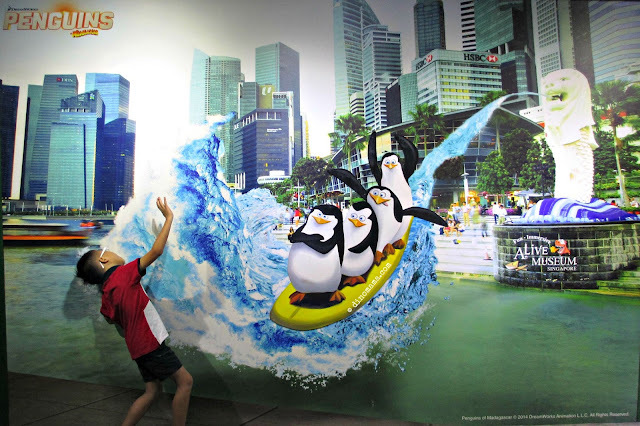 I love to go with my kiddos & enjoy the Awesome Merlion drench , swinging over the monster crocodile & Madagascar's spy penguins .. 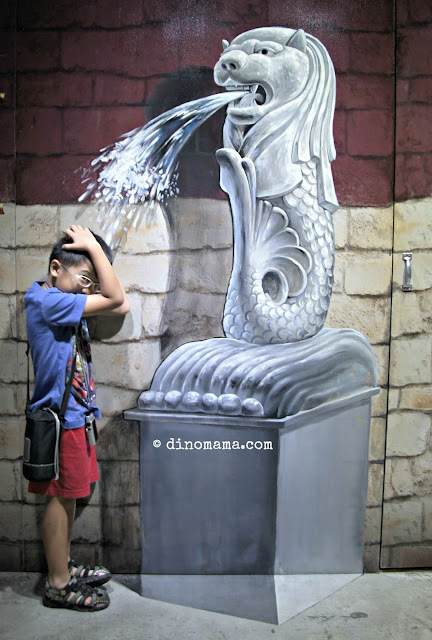 So cool, i would like to win this bring my kids to visit Alive Museum. Hope i'm the lucky one, finger crossed! Answer: Digital Art, 3D Art & Object Art.